The latest edition of our newsletter is out now! 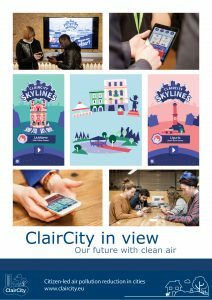 Find out which cities around Europe now have their own ClairCity Skylines game, how EU environmental legislation affects our lives and the air we breathe, and common misconceptions about air pollution. You can read it online or download the PDF. For more information and background on the project please see our previous newsletters.